Happy Thursday All and hoping your week is moving along nicely. Friday is just around the corner... yeah... like tomorrow and hoping all have great plans. Me... I just want to relax and do something creative. Today's post brings a Then & Now/DIY. 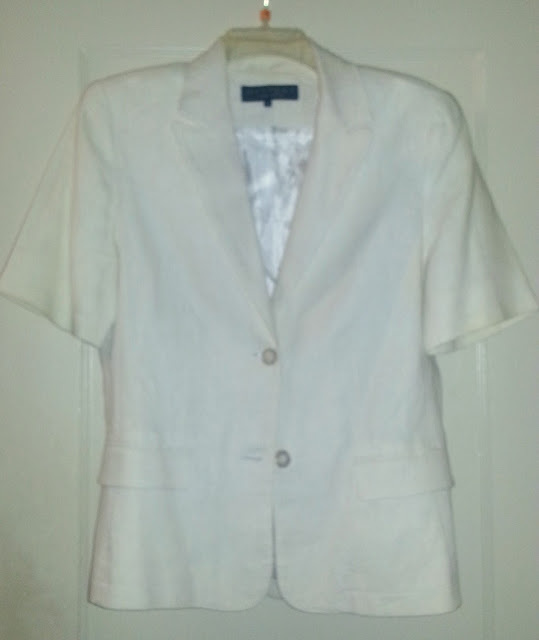 This linen jacket has been around for a long time and in its earlier life, was part of a white linen suit. In 2013, the pants went the way of donation, but kept the jacket despite it showing discoloration. 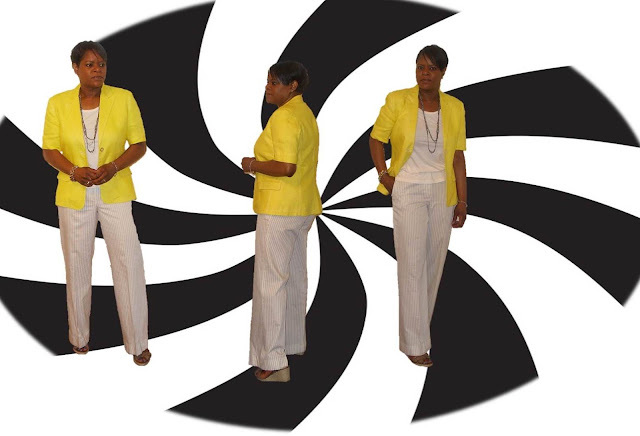 During one of my refashion, recycle & reuse modes decided to try my hand at color revitalization. New Look 6351 lt grey cotton/blend pant. If anyone knows me, I am an avid blazer fan and any orphans I make must work with my blazers. This top is perfect alone w/ slacks or worn under a jacket. The dye color has held up well, even with machine washing. If one is looking to dabble in garment dyeing, definitely give it a try. It's a great way to revitalize an old garment in need of new life. Rocking this yellow makes for a great color to wear even at the end of the day when I am worn, torn & tired from a long day. 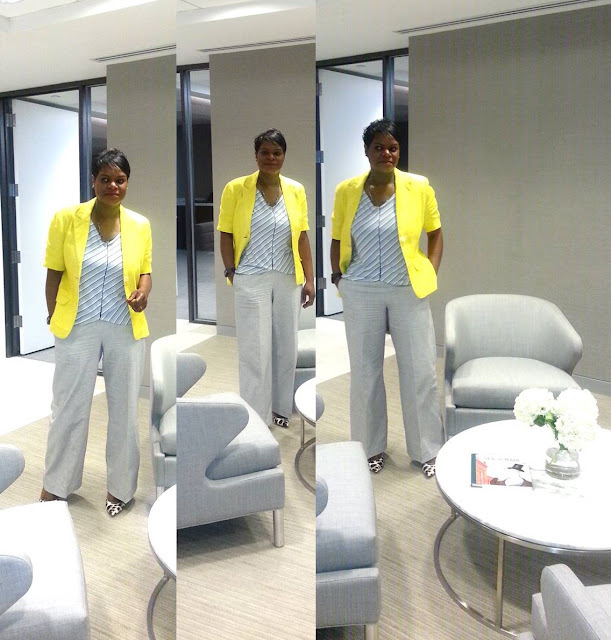 Gorgeously professional outfit Sheila - love the color combo. You look fabulous Sheila! Keep it up!